On June 15, 2017, the Environmental Defense Fund (EDF) issued a report in which they found “detectable” levels of lead in twenty percent of 2,164 samples of baby food that were tested. Lead samples were most commonly found in fruit juices, root vegetables such as sweet potatoes and carrots, and cookies, including infant teething biscuits. The Environmental Defense Fund’s results were based on an analysis of a decade’s worth of Food and Drug Administration (FDA) data, which was collected between 2003 and 2013 and published by the FDA in their Total Diet Study. The EDF’s study was sparked after the Environmental Protection Agency issued a draft report showing that more than one million children consume more than the FDA maximum daily intake of 6 micrograms of lead in their food. 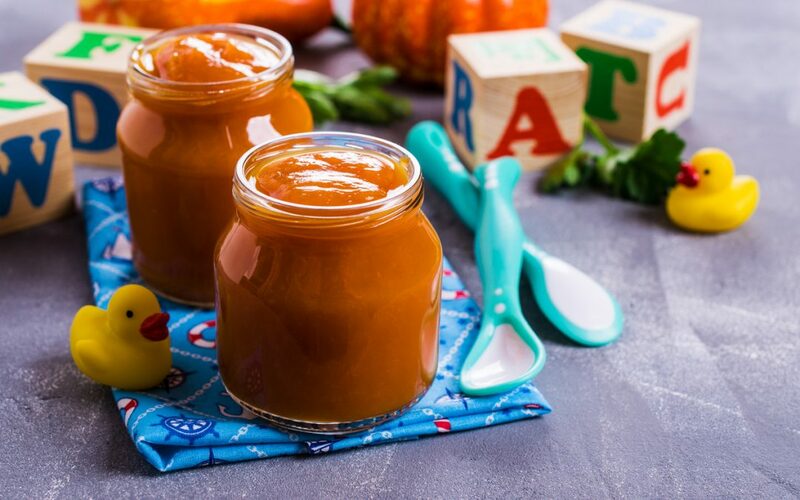 The manufacturers and brands of the baby food products were not available to the EDF, although the organization has since sent a Freedom of Information Act request to the FDA for that information. Also, data was not released as to the level of “detectable” lead in the baby foods samples, nor was any information provided as to whether the lead levels that were detected exceeded the FDA’s guidance levels for lead. The FDA set guidance levels of 100 parts per billion for candy and dried fruit, 50 parts per billion for fruit juices, and 5 parts per billion for bottled water. Since the 1970s, considerable attention has been given to concerns over elevated blood lead levels in children, especially those under the age of six. The most notable target of federal and state regulations regarding lead involved the lead paint industry. Prior to 1978, lead was used as one ingredient in the manufacturing process of paint in the United States. Homes built prior to 1978 likely utilized paint products that contained lead. Over time, the paint products peel, chip, or flake, creating a risk of lead paint ingestion for children. Given that rooms in homes are typically repainted when normal renovations or maintenance is performed, lead paint used in millions of homes built prior to 1978 remained there for decades. As these homes age and the paint naturally wears away, the potential for children to ingest paint chips containing lead increases. Whenever a child’s blood lead levels show elevated lead in the blood, the easiest target for plaintiffs’ attorneys are homeowners, property managers, and landlords. This is due in large part to strict laws in many states that hold homeowners and landlords liable for elevated blood lead levels in children (whether the child shows any signs of developmental delay or not) if the child resided in the home and there was lead present in the paint in the home. In Massachusetts alone, there were 3,700 reported cases of elevated blood lead levels in 2015. As the EDF’s recent findings show, looking only to lead paint as the possible cause of elevated blood lead levels is unfair to homeowners and landlords given the number of other potential sources for exposure to lead that a child might have. It is important for landlords, home owners, and property managers to take appropriate steps to test for or monitor the conditions of lead paint in their homes, and steps must be taken to notify tenants of potential lead paint hazards in order to comply with state and federal law. If you are a homeowner, landlord, or property owner, there are ways to mitigate the risk of being sued for lead paint claims and CMBG3 Law LLC can provide counsel to you on these subjects.